We help you create stunning wedding invitations that match your individual personality as well as the unique style of your wedding . . . while being respectful of your printing budget. 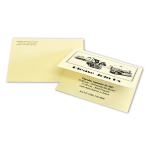 In addition to a virtually unlimited array of paper textures and colors, we also offer letterpress, thermography, embossing, foil stamping and engraving – for added elegance and sophistication. Come in to Printing By Johnson and let us create the unique and amazing wedding invitations you always dreamed of. Our knowledgeable and experienced graphic designers will take the time to discuss your ideas, show you print and paper samples, and help you select the announcements and invitations that reflect your graduate’s personality. 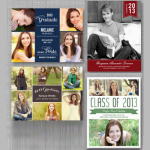 Show the world how proud you are of your special graduate with unique custom announcements and invitations! We can create everything from whimsical invitations for children’s parties (pirates, princesses, super heroes, and more!) 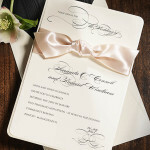 to elegant embossed, linen invitations for formal or black tie affairs. Celebrate your birthday in your personal style when you choose from our wide selection of beautiful, affordable birthday party invitations. Convey your personal style, match your event’s theme and impress your guests with custom Anniversary invitations from Printing by Johnson! 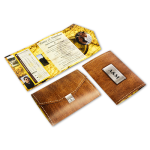 Our knowledgeable and experienced graphic designers will take the time to discuss your ideas, show you print and paper samples, and help you select the invitations that reflect who you are . . . while always respecting your individual budget.